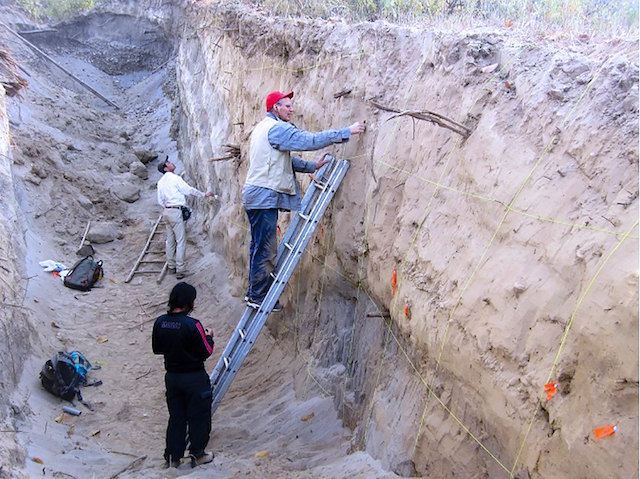 UPLIFT: Scientists from Nepal, Japan and the United States in a trench on the Bagmati south of Kathmandu where the terrain was lifted by 10m during a megaquake 800 years ago. The enormous energy accumulated in the Himalayan Frontal Fault may be released in another massive earthquake. Damage from the April 2015 earthquake is still visible in the 14 worst-affected districts: uncleared rubble, propped up buildings, temples in scaffolding, and nearly 1 million people living in temporary shelters. As Nepal gears up to mark National Earthquake Safety Day on Sunday 15 January, it is clear that the government and people have already forgotten important lessons from the 2015 disaster and are unprepared for the next big one. 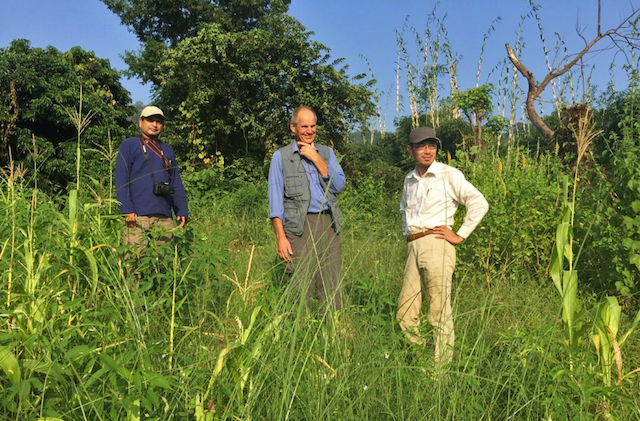 An international team from Tribhuvan University, Hiroshima University and the University of Nevada recently dug two trenches south of Kathmandu to find evidence of paleo-earthquakes, including the one in 1255 that triggered a surface rupture of more than 10m. They predict a similar earthquake of more than 8 magnitude in Central Nepal that would be much more catastrophic than 2015. Interactive map of earthquakes in Nepal since 1255. 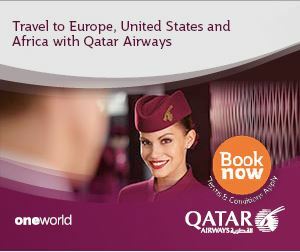 Click on the circles for more information. “The seismic strain is not completely spent near Kathmandu and there is a dangerously long seismic gap in western Nepal,” explained Amod Dixit, head of National Society for Earthquake Technology (NSET). Seismic scientists investigate trench in Tribeni that has evidence of a massive earthquake in the 13th century. 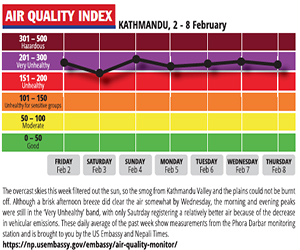 But Nepalis struggling to cope with the last earthquake, haven’t given much thought to warnings of the next one. A government embroiled in day-to-day politics is also too distracted to plan for a mega-disaster sometime in the future. Upadhyay said epicentres aren’t always the most affected areas, so the Valley could still bear the brunt of a megaquake striking far-Western Nepal. Next time we would not be so lucky. Buildings like these in inner city Kathmandu could fall like match-sticks in a future earthquake of 8 magnitude or above. “The 2015 Gorkha earthquake was a warning for policy makers, designers and public to update our policy and implementation towards resilient structures, no one can say when and where exactly the next earthquake will strike but there is a risk and we have to prepare for the Big One,” says Rishi Ram Parajuli, a PhD candidate in earthquake engineering at Kyoto University. 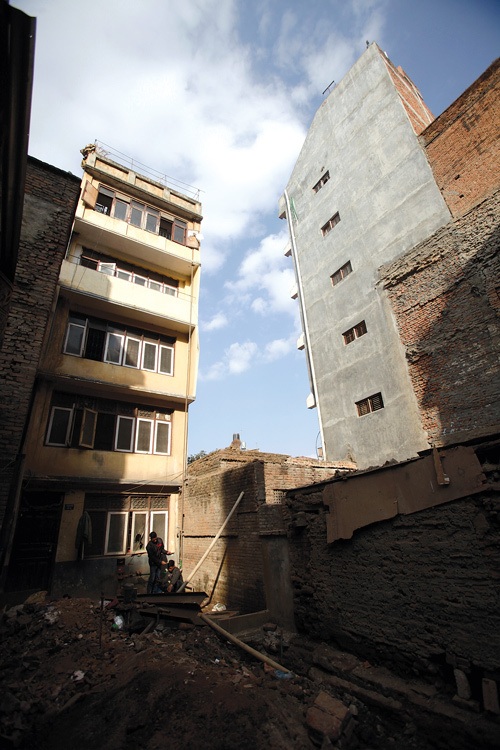 Kathmandu already has a strict urban building code for structures up to three floors prepared in 1993, but it is outdated and rarely enforced. The main reason for unsafe buildings is the building permit process. Municipalities get one-third of their income from issuing permits, and safety is not their priority, revenue is. Following the 2015 earthquake, the urban planning and building code was revised, but there is public reluctance to follow it. People in Kathmandu have been lulled into a false sense of security that cement building are safer, when in fact most Reinforced Cement Concrete (RCC) structures would also have collapsed if the 2015 quake was stronger. “It’s not true that clay mortar can’t resist earthquakes and that RCC houses are always safer. 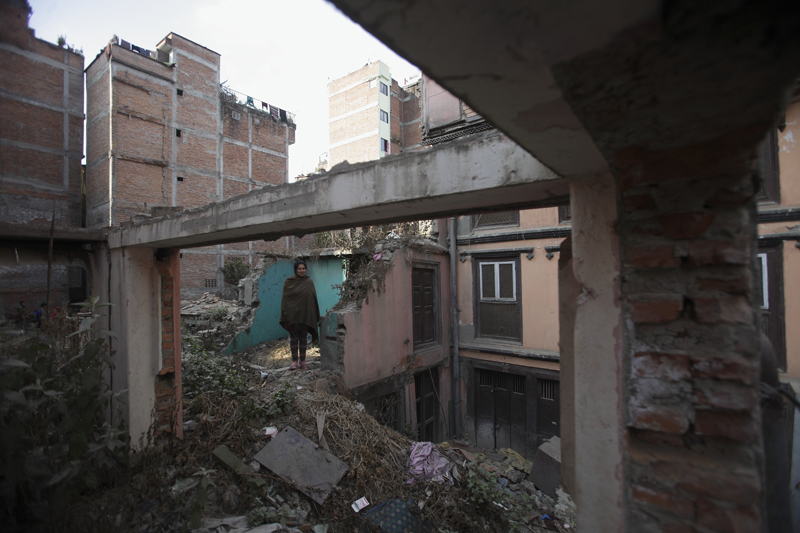 What actually kills are poorly-constructed buildings,” said Upadhyay. He explained that our ancestors were used to earthquakes and used design elements that allowed Kathmandu’s ancient monuments to withstand tremors. Many of these building methods have been forgotten, and modern buildings are not seismic resistant. However, masonry that is not enforced is vulnerable to shaking. "The ground motion in the 2015 earthquake had some unique features, and brought down brick walls. Safety depends on the shaking intensity and most importantly the quality of construction," explained Parajuli, who is currently in Chile to attend the 16th World Conference of Earthquake Engineering. Earthquake resistant buildings can be easily made with locally available resources and aren’t as expensive as the public perceive them to be. Retrofitting can also make buildings resistant to tremors for a fraction of the cost of a new building. Another lesson from 2015 is in delayed, inappropriate or ineffective rescue and relief. Local communities did not have enough stockpiles of digging equipment or supplies. 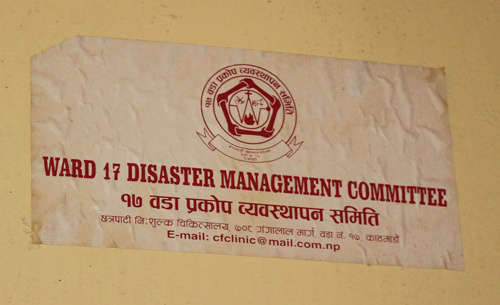 Some communities like Ward 17 in Kathmandu (see box) had a disaster preparedness plan in place and immediately went into action in rescue and rushing wounded to hospitals and assigning shelters for survivors. Scientists from Tribhuvan University, University of Nevada and Hiroshima University who carried out the study on paleo-earthquakes. Since Kathmandu is not out of danger yet, and with scientists warning of much bigger earthquakes in central and western Nepal at any time, the Valley needs to learn the lessons of 2015 and prepare to be prepared. If there was one neighbourhood in Kathmandu that was prepared for the 2015 earthquake it was Ward 17. 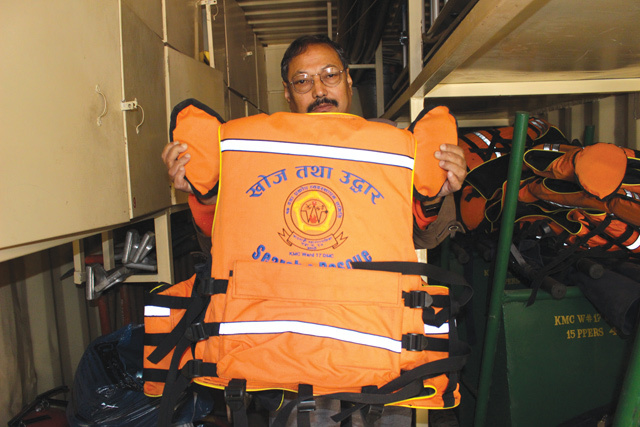 The community had a disaster preparedness plan, had stockpiled rescue material and emergency medicines, had conducted drills every Saturday on evacuation of wounded, and designated safe open spaces with water supply. Such foresight is rare in Kathmandu, and in Ward 17 it has been spearheaded by the team of Bijay Mali (pictured above) at the Chhetrapati Free Clinic (CFC), a non-profit community hospital. Mali is already preparing for the next big earthquake and has started retrofitting one of two hospital buildings even if it didn’t suffer any damage in 2015. The main hospital building was retrofitted before the earthquake, and survived intact. Mali, a former representative in Kathmandu Municipality, said that it is crucial that the government coordinate with communities on preparedness plans. Mali had to struggle against sceptical colleagues who thought preparedness was a waste of money. He says it was years of hard work in planning and preparing that helped Ward 17 in quick rescue and evacuation in 2015. Local volunteers were able to rescue two people with equipment they had stored. They also managed camps, providing necessary relief materials, emergency medicine and water supply. “We have yet to restart training after the earthquake but this time I want to work in a partnership with KMC on preparedness because it is their duty as well,” said Mali. The Clinic has drawn up plans and training manuals for six nearby wards. By retrofitting the hospital building, he also wants to set an example for public that we need to start preparing now for the next big one. A future 8-9 magnitude earthquake in Central Nepal would devastate Kathmandu Valley, unleashing a disaster so catastrophic that no one wants to even think about it. But experts say the death toll in the city may pale in comparison to the destruction caused by landslide dam and glacial lake outburst floods in the Himalaya that would send huge walls of water downstream. Imja Lake, which has swollen due to melting ice has been recently drained to make it safe. Himalayan rivers bear geological evidence of past floods. For example, Pokhara is situated on the debris field of a huge flood on the Seti unleashed when a landslide dam probably triggered by the 1255 earthquake swept down from the Annapurnas. As global warming melts the mountains, hundreds of glacial lakes in Nepal and Tibet are on the verge of bursting. 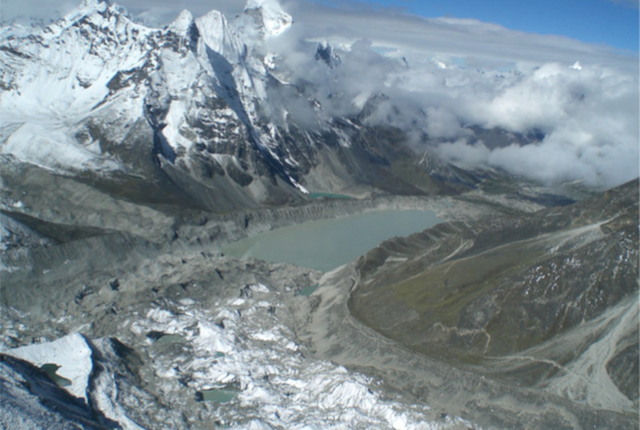 Their moraine dams could collapse simultaneously in a megaquake, unleashing Himalayan tsunamis. Geologist Shree Kamal Dwibedi at the department of Water Induced Disaster Management is reluctant to speculate on such a worst-case scenario, and says that the most recent study at Tribeni and Bagmati cannot yet be extrapolated to predict a catastrophic earthquake. “We need more studies in the Himalayan region, but we have to be prepared and alert as we essentially live in a seismically active region,” he said, adding that mitigation measures like the ones to lower the level of the Tso Rolpa and Imja are needed on other glacial lakes.